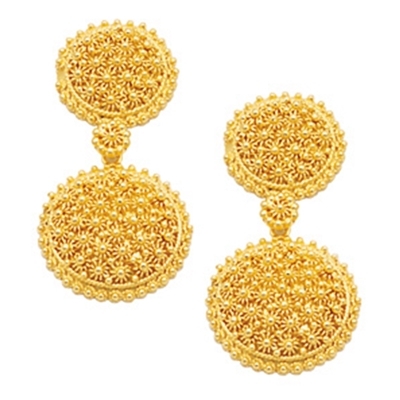 Gold 750/1000 drop earrings, entirely handcrafted with honeycomb filigree. The technique, unique in the world, used to make the famous Fede Sarda ring is reelaborated for giving life to the Nido d'ape line where the light plays and spreads around upon ancient and mystery geometries. 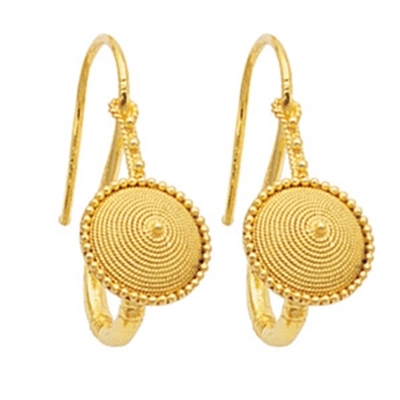 Gold 750/1000 earrings, entirely handcrafted with spiral filigree, hammered wire and granulation. The magic of simplicity and of the archaic is at the bottom of the Spirali line. Forever actual jewels that look timeless. Gold 750/1000 earrings with garnets. 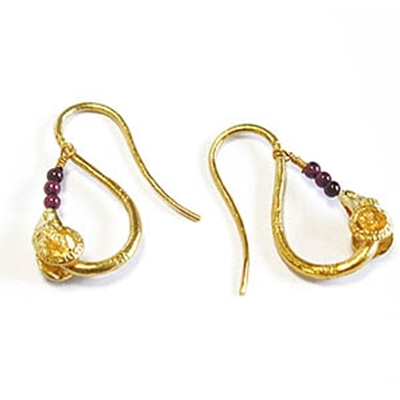 The earrings are entirely handcrafted with hammered wire and granulation. In the Su connottu line the baroque motifs of traditional Sardinian costume’s ornaments are actualized and made classic beyond every fashion. 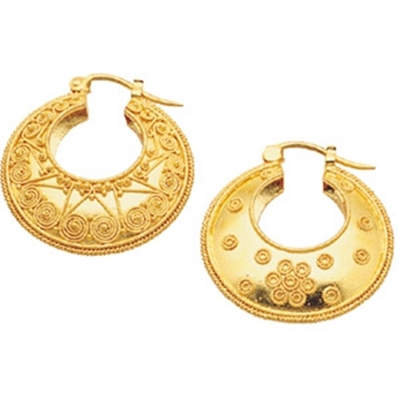 Gold hoop earrings, entirely handcrafted, sardinian filigree, hammered sheet. 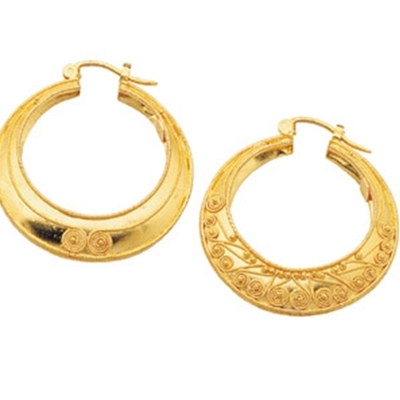 Gold hoop earrings, entirely handcrafted with filigree, granulation, hammered sheet. Gold 750/1000 stud earrings, entirely handcrafted with spiral filigree.